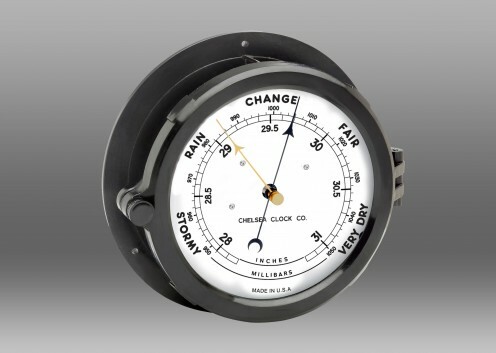 The sinking of the Titanic resulted in the Radio Act of 1912, requiring 24-hour radio watches at sea. 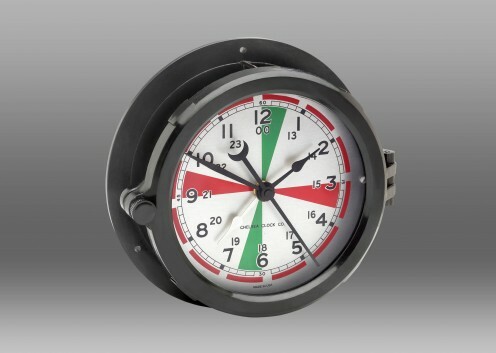 The disaster also led to this clock design, which features two 3-minute periods marked in red, indicating Morse Code silence periods when only distress, urgent, and safety signals could be transmitted.Two green markings, likewise, designate silent periods on voice transmissions, where one would listen for or transmit distress signals. All ships and coastal stations kept a mandatory listening watch for such signals. There is an additional white hour hand, called a Zulu hand, which can be set to Greenwich Mean Time or any other time zone you choose. 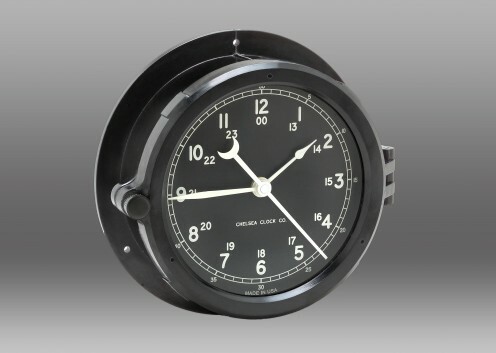 The Radio Room Clock case is made from phenolic - a high-impact, heat-resistant black resin that stands up to time and the elements. Featuring a clear glass lens, its hinged bezel and brass screw-bolt lock offer easy access for adjustments. 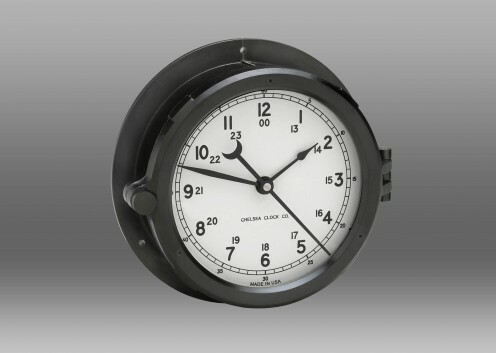 The Radio Room Clock mounts to most any surface and includes matching black mounting hardware. 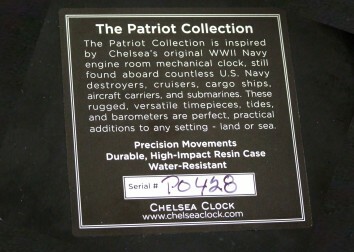 The Radio Room Clock is a companion piece to the Patriot Deck Barometer, Patriot Deck Time-Tide Clock and Patriot Deck Tide Instrument.